Alex Mwaki is a Project Officer with CARE Kenya’s School Water, Sanitation and Hygiene Plus Community Impact Program (SWASH+). He has a background in Environmental Health Science and Community Health and Development. 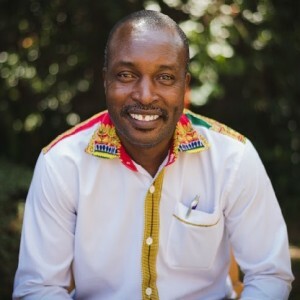 For the past 9 years, he has worked on safe water system including products design and development, implementation through pilot testing and scaling up through multi interventions such as direct community strategy, partnership with other stakeholders, schools and clinics models. He has provided training, monitoring and evaluation services in diverse areas of safe water systems and hygiene particularly in schools, clinics and other organizations. He cherishes in bringing fresh and innovative approaches to safe water systems. His target is to always exceed the expectations of every client by offering outstanding services, increased flexibility, and greater value, thus optimizing efficiency and effectiveness. This has come as result of his wealth of experience and as a technocrat in safe water system in Kenya.